The Deuter ACT Lite 50 + 10 is one of Deuter’s flagship lightweight load hauler. Its one the largest lightweight packs they list on their website and it has the goal of providing “lightweight, yet reliable comfort”. 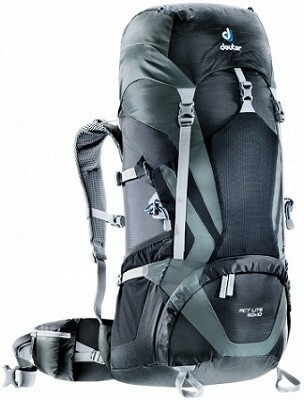 To a fair degree Deuter has come through on this front but this pack also isn’t a contender for best in class. The ACT Light 50 + 10 has all the standard features you would expect on a 4 season pack without skipping anything major – they even include dual hipbelt pockets (a rarity in 4 season packs). Where they fall short though is in its primary selling point – it’s weight. The pack weighs 3.8 lbs and with just a quick glance at the construction of the pack there are some obvious ways they could have cut weight without impacting it’s functionality. Deuter got many things right about this pack. Externally its very streamlined with just the right amount of compression straps without going overboard. There are also three large stretch pockets on the outside – 2 side pockets and 1 front stash pocket. The webbing used is sturdy, which is a plus even when cutting weight is a concern, and allows this pack to easily haul a pair of skis attached a-frame style to the side compression straps. You also have ice ax attachment points, an internal hydration reservoir pocket, and a front entry zipper for quick access to the bottom of the pack – just to touch on a few of the great features included. The best part about this pack is it’s frame, hip belt and shoulder straps. The back length is fully and easily adjustable. This is a great pack for someone who generally has a hard time finding a pack that fits them well. You can even adjust the back length while on the trail without unpacking if you find what you thought felt good isn’t quite as comfortable after a couple miles. Combine the excellent adjustability with very comfortable hip and shoulder straps as well as a really nice x-frame (the vertical frame stays form an X across your back allowing for amazing vertical support while still allowing the pack to “twist” and conform to your movement) and you end up with a pack that really can haul big loads in comfort. While this pack doesn’t use a fully mesh back, such as those Osprey is known for, it still breathed well and would be comfortable in most warm weather circumstances. Unfortunately there are some issues with this pack. First, the “floating” lid which allows for the “+ 10” aspect of this pack isn’t actually floating. There are the traditional webbing strap attachments but there is also a panel of fabric that attaches the lid to the body. What is this for?! There is a storm collar with cinch top closure already built into this pack so expanding to the full 60 L volume still leaves all your gear protected. 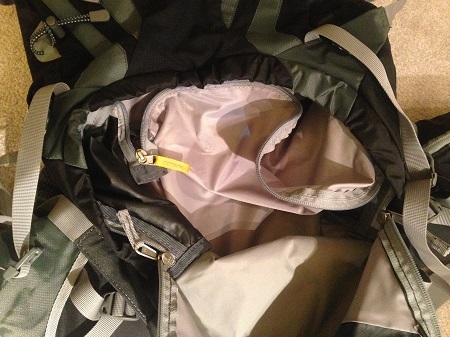 Furthermore, if you are pushing for a summit you are unable to remove the top lid and strip down the pack. I have yet to figure out why this extra fabric was included. The first thing I would do with this pack is bust out some scissors and get rid of this “feature”. What is this flap of fabric for?! If you flip the pack over there is already a set of webbing straps attaching the head pouch to the body of the pack. There is also a storm collar that you can see folded down so that flap doesn’t even protect you from water getting inside. The second major detractor from this pack is the construction of the bottom compartment separator. Again, like the lid, you can’t remove it. Not only is it not removable but it also uses the biggest, heaviest, most robust zipper on the entire pack. Many people, myself included, dislike internal compartment separators. I’d rather have one big pocket. While this is a personal preference that many people disagree with there is no reason to force the separator to stay inside the pack if you don’t want it. Other packs designed with a similar feature use small toggles to attach the fabric divider; considerably reducing weight and making it easy to remove if that is your preference. Why did they make the internal organizational divider a fixed piece of fabric rather than something you could remove? That is just poor design. These detractors are disappointing and point toward a pack that should have gone through one or two more test phases before going to production. With a few simple changes this pack would weigh more like 3 lbs. 8 oz. compared to the 3 lbs. 13 oz. it currently does – that’s an easy 8% weight reduction. I’m sure an even more critical eye could come up with additional improvements. This is unfortunate because when it comes down to it this pack ranks in on the heavier side of the “lightweight load haulers” category when, with a little bit of refinement, Deuter could have really made an industry leading pack. 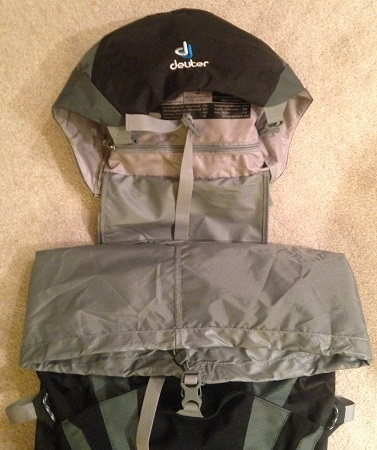 The Deuter ACT Lite 50 + 10 backpack is a good pack. If you are looking for a fully featured pack that is under 4 lbs. and can adjust to fit a variety of back lengths it is actually rather appealing. If you are looking for a pack that cuts all the weight it can but still supports heavy loads you should check out the Deuter ACT Zero 50 +15. This entry was posted in Activities, Activities, Alpine Mountineering, Activities, Backpacking, Gear, Backpacks, Brands, Deuter, Gear, Product Review, Activities, Ski Mountaineering.